Webster and I starting speaking to one another on plenty of fish in May of 2016. We decided to go on our first date May 29, 2016 to a seafood restaurant in Lake Worth, Florida. I was nervous because I had never really done online dating before. I sent some of my good friends my locations and notified them just in case things went sour. I arrived before Webster. When he arrived, I immediately found him attractive. Our first date was amazing, we had such a good time. We ended up going out again a few days later. We immediately hit it off and made this official on June 5th, 2016. I had originally wanted to take things slow, because I had recently broke things off with an ex I was with for 8 years. However, Webster and I wer inseparable. We couldn’t get enough of one another. He was so kind and respectful. He made me feel like a queen and always complimented me on my beauty. We moved in rather quickly and we’ve been together ever since. Webster proposed to me in Tampa, the night before his birthday. He constantly shows me each and every day how much he loves me, not only through his words, but through his actions. What Webster loves the most about me is how I remember him of his mother, who passed away some years ago. He always tells me I encompass a lot of qualities she had and she definitely did raise him to be the perfect gentleman. We got married on November 4th at a country club in West Palm and it was the most beautiful day. 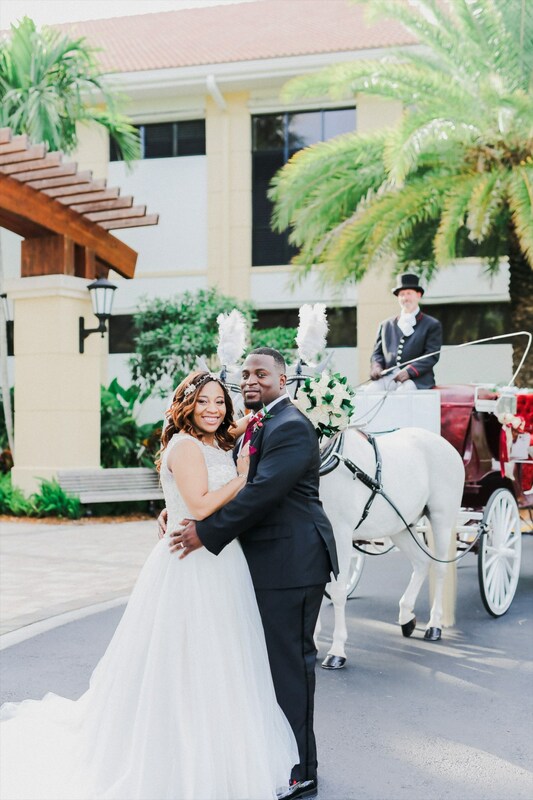 Our wedding felt just like a fairy tale!